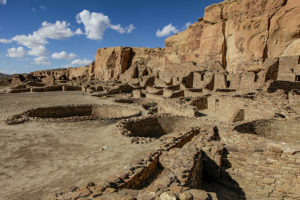 The archaeological preserve of Chisha’talla’ Today. 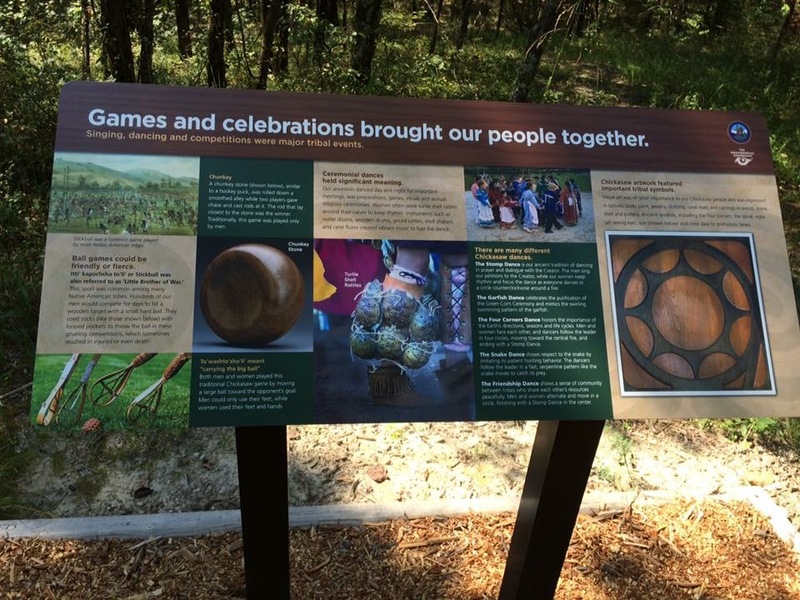 Once the Chickasaw Nation leased the property TAC, the began bringing visitors from the Nation to their homeland on a regular basis. 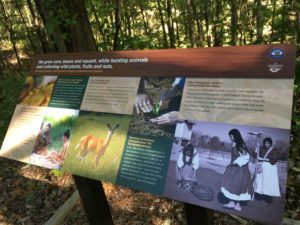 The Nation established walking trails and erected interpretive signage. As tribal historian of the Chickasaw Nation, I produced 19 quarterly issues of The Journal of Chickasaw History, from 1994-1999. Then, for a complete change of pace I decided to write a book-length manuscript on the ethnohistory of the Chickasaw. I got approval from my supervisor, Gov. 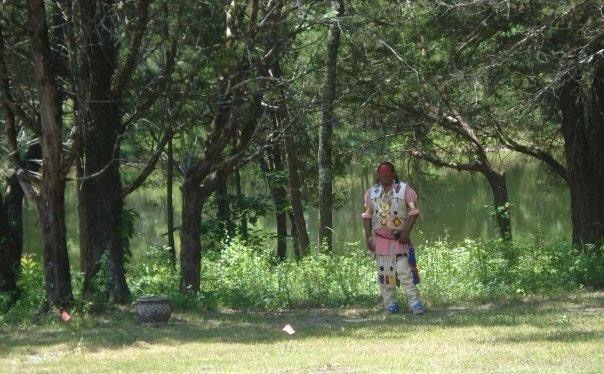 Bill Anoatubby, and headed out for field research to the tribe’s ancestral homeland, centered in Tupelo, Mississippi. I had been there before but was disappointed to see so few signs of the tribe’s former existence there. And evidently, there were no Chickasaws, whose ancestors had been forcibly removed from their Homeland, via a treaty, to Indian Territory starting in 1837. 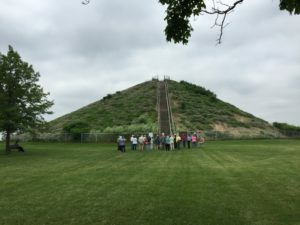 However, I had met some knowledgeable archaeologists, Jay Johnson, John O’Hear and Brad Lieb, who provided information based on 20th century excavations, and their own examination of Chickasaw-related source material. 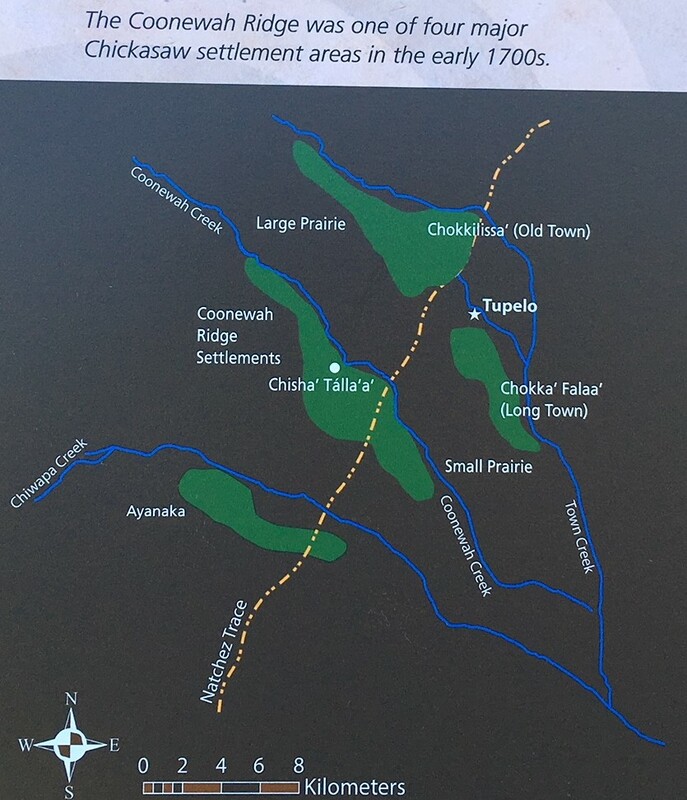 And by just hanging around Tupelo and asking questions, I met some artifact collectors who back in 1980 had written a scholarly well-documented paper about the locations of Chickasaw villages in the 18th and early 19th centuries. Our relationship went from adversarial to collegial. This set the stage for quite an irony: the same collectors who had dug up graves in the sixties and seventies to amass huge artifact collections, would come to play key roles in preserving the dozen or so sites that had not been destroyed by them or commercial development. 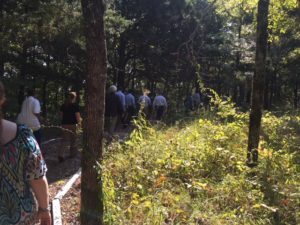 By 2002, I was trying to build a coalition of interested parties to save these sites in the Tupelo area–a daunting task, to be sure. 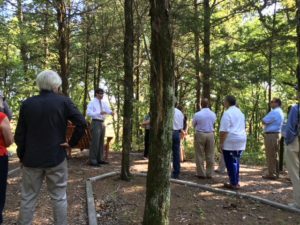 A meeting was convened at the Tupelo City Hall with attendees included Tupelo Mayor Larry Otis and two city councilmen, a small delegation of tribal leaders, archaeologists, area land owners and two collectors and Jessica Crawford, who at that time worked part time for The Archaeological Conservancy (TAC). Though she hadn’t been with TAC very long, she was about to go full time as the Delta Field Representative. In a room of aging men, Jessica stood out, being young and winsome. As the meeting proceeded, her contributions, mainly explaining TAC’s mission and methods and asking pertinent questions, showed she was also an extremely good communicator and ready to collaborate with all parties. It was obvious that this articulate young woman could make a valuable ally for the Chickasaw Nation. After the meeting I sought her out to discuss the Conservancy’s interest in one at-risk site in particular, and others in general. Eventually, most of that village site was saved through private action. 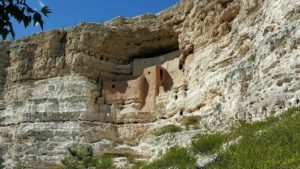 Although, I understood that the Conservancy was not minting money, Jessica said without equivocation that TAC was actively interested in helping find ways to accomplish our mutual goals. 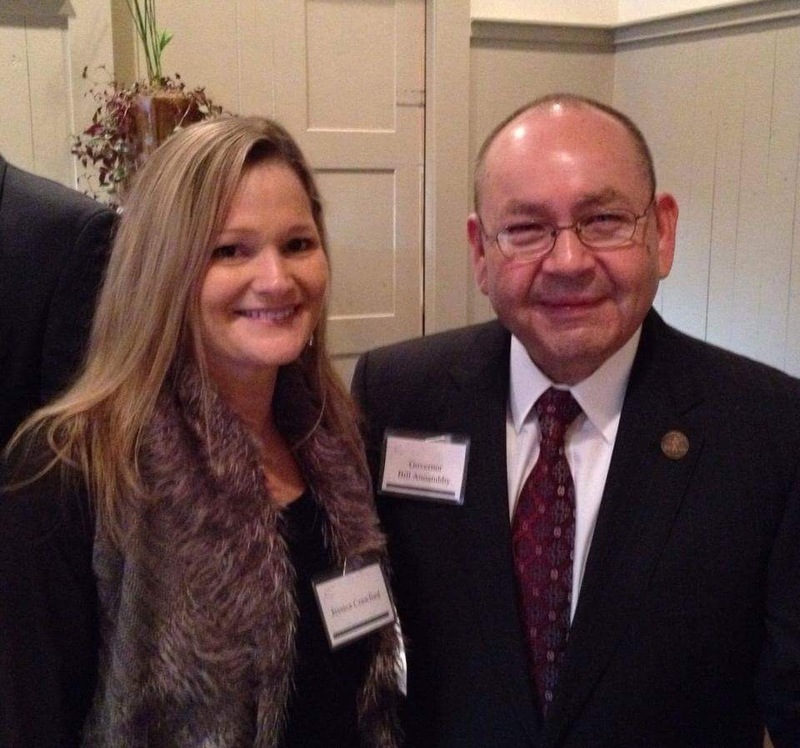 Jessica emphasized that TAC wanted to be a partner with the Chickasaw Nation. We kept in touch. 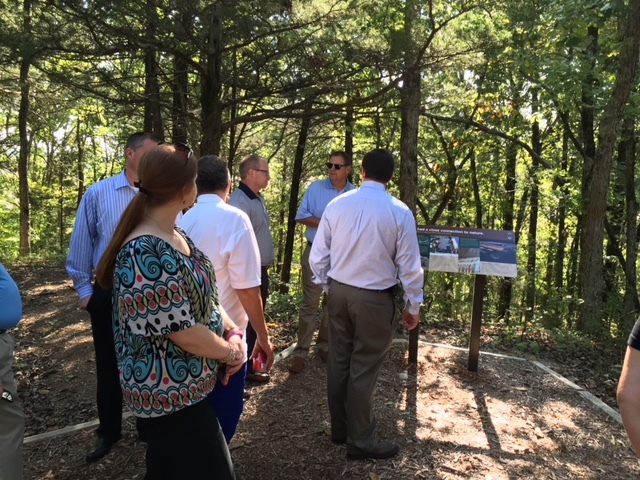 And she also exchanged notes occasionally with Kirk Perry, the tribe’s director of heritage preservation, an apt title for the goals we were pursuing, prioritizing these sites sacred to Chickasaws and preserving as many as possible. With Gov. Anoatubby’s permission, I contacted Julian Riley, a major collector in April 2001, mainly to gather information for the Chickasaw ethnohistory I was developing. These interviews with Riley, a retired CPA, led me to other collectors, civil engineer Steve Cook, and businessman Buddy Palmer. 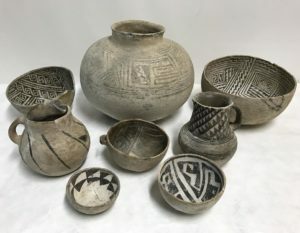 Within a year, they offered to donate their collections to the Nation and as paid consultants tell the Nation everything they knew about the artifacts in the context of Chickasaw history. In March 2004, a memorandum of agreement was signed for the eventual transfer of the tens of thousands of artifacts from Tupelo to a new state-of-the-art Chickasaw Cultural Center, then in a formative stage of development in Sulphur, OK. 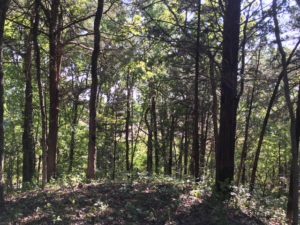 Almost simultaneously, Cook, who owned ridge top land overlooking Coonewah Creek on what had been a Chickasaw village, told me he wanted to sell the land to the Nation. Then he found he couldn’t get the co-owners (his sisters) to go along, so talks ceased. But he told both me and Jessica that his adjacent neighbors, John Ray and Lottye Betts Beasley lived on a site that, according to his research and theory, had been the Chickasaw village of Chisha’ talla’. 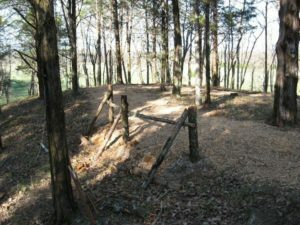 According to Cook and Riley, it had been an important barrier village against Choctaw attack in the early 1720s. 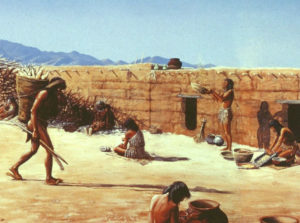 Circumstantial evidence indicated that it had been overrun by Choctaws and abandoned until the latter part of the 18th century, when it was again resettled to some extent. So, Chisha’ talla’ had two distinct occupations. 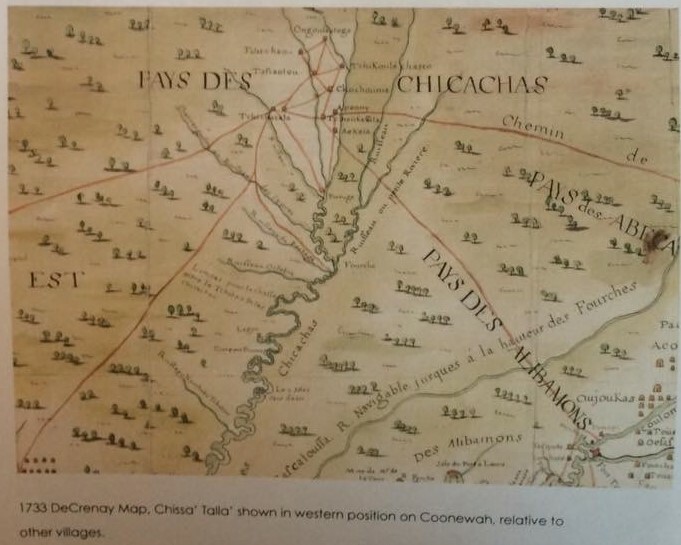 Historic French map of the region dating to 1733, identifying the village of Chisha’talla’ . 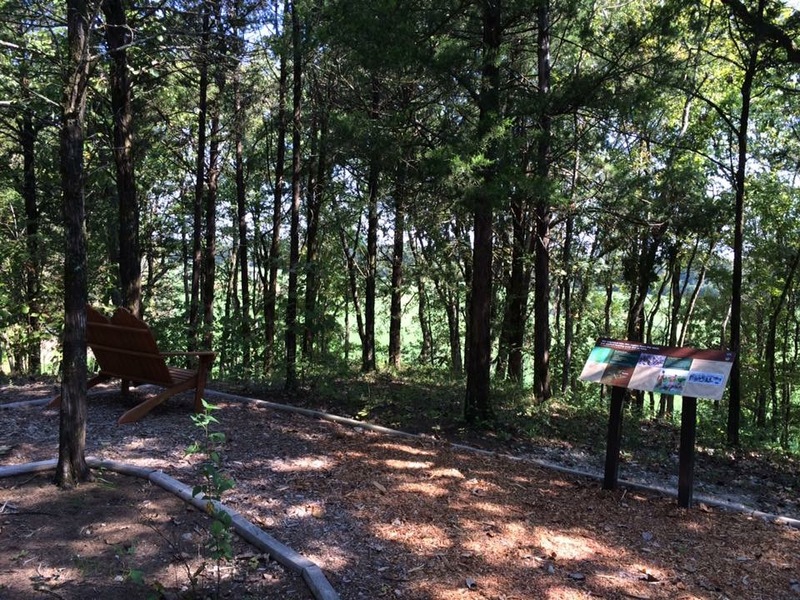 The Beasleys were looking to sell their nearby 34 acres, but not to developers. Jessica wasted no time meeting them. 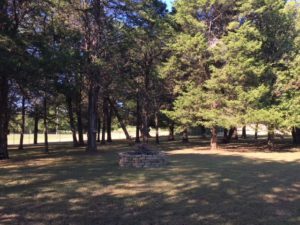 She told me that the Beasleys had known that they were living on a former Chickasaw settlement. They wanted the new owner to preserve the land, they called Cedarscape, the way they had. The Conservancy would do that, Jessica said, as would the Chickasaw Nation. She told them that she already had been working to that end with me and Kirk Perry. Maybe we could all work together on Cedarscape, she said. At this point, she introduced me to the Beasleys who I soon assigned to the high echelon of “salt of the earth.” Apart from their intelligence, affability and hospitality, I greatly admired and respected their effort to preserve the land they had purchased in 1963. Pot hunters knew they were not welcome, but sometimes they trespassed anyway, and John Ray would find them and order them out. It was apparent from that first meeting that Jessica and the Beasleys had bonded. They beamed when she talked, whether it was about Cedarscape, or her family and growing up in the Delta. 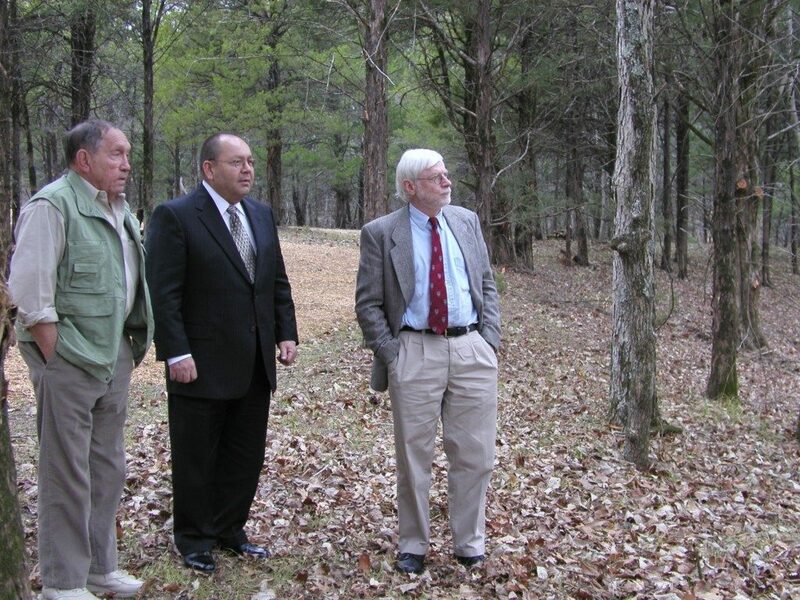 In December 2004, Jessica asked if I could arrange a meeting with the Governor to see if he and the Chickasaw Nation would be willing to help TAC acquire certain properties, including Cedarscape. Earlier that month, the Beasleys had set an asking price. The Governor agreed to the meeting later that December. 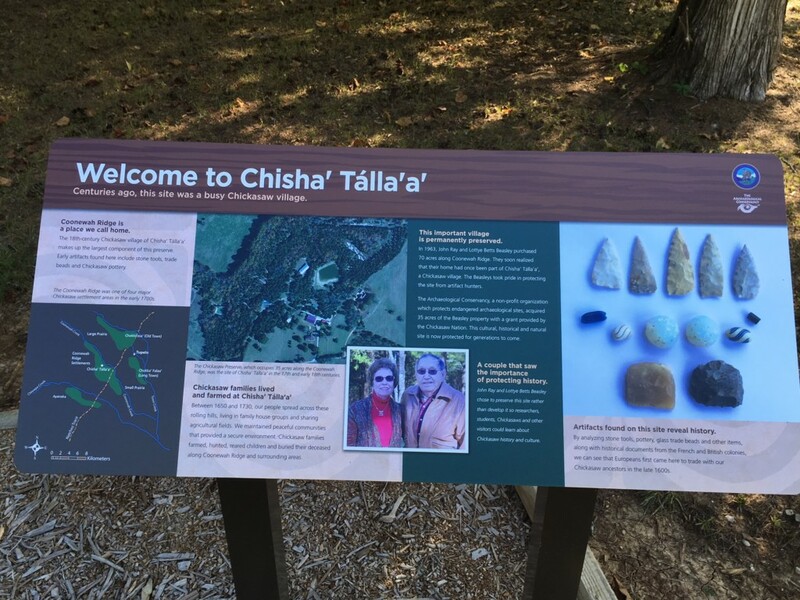 We had hardly started when Governor shocked everyone by announcing that he felt that he “had a strong obligation” to protect and preserve sites with the historical importance of Chisha’ talla’. 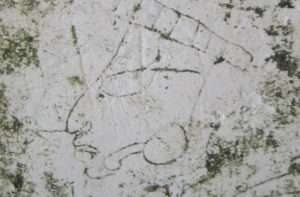 And he also felt that the highly credible Archaeological Conservancy should be intimately involved. Therefore, he said, the Nation would donate the money to the Conservancy, which would purchase Cedarscape/Chisha’talla’. In return, TAC would lease the property to the Nation in perpetuity for $10 a year. The sale closed on May 6, 2005. 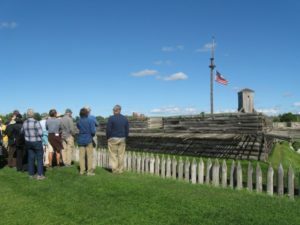 The tribe and Conservancy jointly produced a management plan, including a retreat, an interpretive center and the use of approved research protocols including archaeological surveys with technology like ground penetrating radar. All of us who played a significant role in the acquisition and preservation of Chisha’ talla’ feel proud to have had a part. But it is my opinion that the two people who were most essential to the success were Gov. Anoatubby and Jessica Crawford. Later, the Beasleys both told me they had rather quickly begun to think of and treat her as family. There is probably no higher compliment in Southern society. 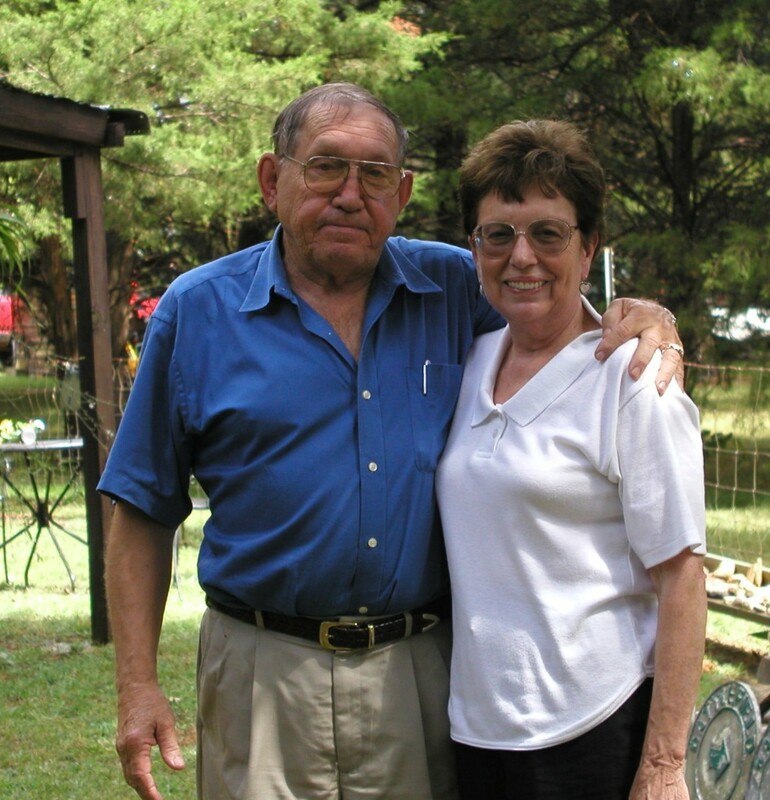 With that bond in place, the couple knew they were doing the right thing saving this sacred piece of Chickasaw history. 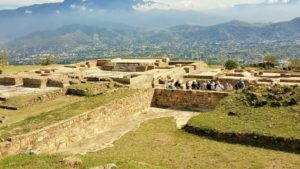 Postscript: Some of these events covered here were also featured in an excellent article, “An Unlikely Alliance,” in the fall 2006 American Archaeology.